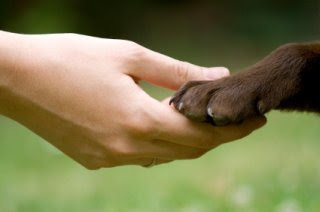 Goodbyes are always painful and it is tough to think about where to go when it is the time to terminate your pet. Most of the people prefer going to their pet care providers to get all the information about the pet termination. The decision has to be taken with full love, support and dignity of the pet and it is really not easy to finally think about disposing off the body of your lovely animal at the last stage of their life. Pet cemeteries are available in many communities. There are many people who choose to bury their pet, but there are some states in which there are strict restrictions on pet burial. The eco-friendly way is cremating the pet. It leaves only 2-3% of the body’s ashes, which can be turned in the urn for the beloved pet. More and more pet owners are choosing cremation over burial. In the previous decade, only one fourth of the pet owners were interested to keep the ashes in the urn after cremation. However, the trends have changed now. People preserve the bone ashes of their beloved animal in the pet urn, which can be kept for the lifetime. click here for related information. The passing of a beloved animal is difficult feeling to handle for the pet owner. They choose cremation for helping out their grieving process and revealing their inner attachment with the pet. The companion is lost for the lifetime, but their memories can give you the most relevant way to live up with the loss. Pet cremation process can be considered beforehand to navigate the best way to overcome the loss of your pet. You can ask your veterinarian about the easy way to find the reputable crematorium services. There is a chamber for the pet cremation for pet usage with intense heating (1500-1800 degrees). The bone fragments are even reduced in the chamber in sand-like form. The cremated remains (cremains) are left over with a weight of 1-8 pounds. The time taken for cremation depends upon the pet size. The urn can be selected beforehand and the cool cremains are placed in it, as per the choice of owner.click here for more related information.